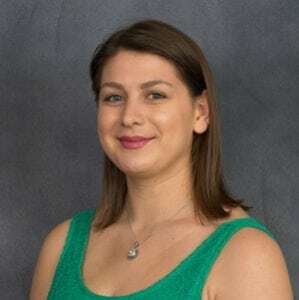 DPR Group Promotes Claire Kelly to Account Executive - DPR Group, Inc.
FREDERICK, Md. – Jan. 2, 2018 – DPR Group, Inc., a full-service integrated public relations and marketing agency that specializes in representing B2B technology companies, announces the promotion of Claire Kelly to account executive. In this position, Kelly will manage the public relations and marketing activities for DPR Group’s high-tech clients in industries spanning software and IT, manufacturing, supply chain and logistics, business and professional services, among others. Kelly joined DPR Group as an account coordinator in 2015 and was promoted to assistant account executive after just one year. She is HubSpot Academy Inbound Certified and holds a bachelor’s degree in journalism with a minor in human relations from High Point University, North Carolina. As a member of her college’s Division I soccer team, Kelly brings a competitive spirit and drive to the workplace.